We’ve all grown accustomed to instant gratification. We can get instant coffee and instant access to our favorite movies and TV shows. So when we actually have to wait for something, being patient can be challenging. This issue often arises when it’s time to buy a house. While many of us would like to purchase a house and move in immediately, buying and moving into a new home can take a few months, not weeks. Experts say it takes around 30 to 45 days to close on a home after entering into a real estate contract. But the entire home-buying process might take much longer than that. After all, just saving up for a 20% down payment could take years. Let’s look at how long it usually takes to reach key milestones on the path to homeownership. Before you start looking for your dream house, it’s best to get preapproved for a mortgage loan. It’s important to know how much house you can afford before you engaged a realtor. It’s also a way to show home sellers that you’re a serious contender and potential buyer. And these days, sellers often only consider offers from preapproved candidates. In order to get a preapproval letter, however, you’ll need to find a mortgage lender. Comparing mortgage rates and terms could take as many as two weeks. And under the new FICO credit scoring model, you could shop around for rates for up to 45 days without doing much damage to your credit score. During the mortgage preapproval process, a mortgage lender will review your credit report and various financial documents before deciding how much you can borrow to buy a house. In many cases, you can get preapproved for a home loan within a couple of days or even hours. But the process might take weeks if you work for yourself or you have a complicated financial situation. If you want to, you have the option of getting pre-qualified for a loan before being preapproved for a mortgage. Pre-qualification is an informal method of finding out whether you might qualify for a mortgage after a brief conversation with a lender or an online exchange. But since pre-qualification alone isn’t enough proof that you can buy a house, you could skip this step. How Long Will It Take to Find a Real Estate Agent? Once you’ve been preapproved for a mortgage and you know your housing budget, it’s time to pick a real estate agent. Finding an experienced agent could take anywhere from a day to a month. It all depends on how you approach your search. If you have friends or relatives who recently purchased homes, you could ask them for referrals. Finding someone on your own could take a while, especially if you plan to do a lot of research and run background checks or ask for references. Some websites, such as Redfin or Zillow, will display available agents in your area. That’s another way to find someone to work with. You can expect to devote a big chunk of your time to hunting for a house you love (especially if you’re picky). According to the Home Buying Institute, looking for a new house typically takes a minimum of three weeks. Just remember that mortgage preapproval letters are generally only valid for 60 to 90 days. If you spend too much time on the house shopping stage, you’ll have to set up another meeting with your lender so that she can re-issue your mortgage preapproval. If your financial situation has changed, you’ll have to submit additional documentation. After you find a house you like, you’ll need to work with your agent and make an offer. This involves writing a letter expressing your interest in buying the house and providing details about your expected closing date, how you’re intending to finance the purchase and how much you’re willing to pay for the house. Negotiating your offer with the home seller could take a couple of days or a week. Or it could take months. The exact time frame could vary widely. The seller has to decide whether to accept your offer, reject it or make a counteroffer. And if multiple buyers are interested in the property, you could end up in a bidding war. How Long Will It Take to Get Approved for a Mortgage? 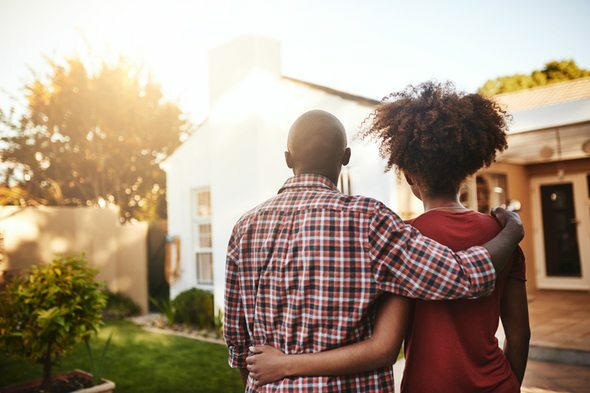 When you and the home seller agree on a purchase price for the house, you’ll both sign a purchase agreement and you’ll make an earnest money deposit. Then, you’ll need a home appraisal before you can be officially approved for a mortgage loan. A low home appraisal may delay your closing, especially if you have to renegotiate terms with your seller or come up with the cash for a bigger down payment. This can take between one to two weeks. It depends on your appraiser’s availability and the responsiveness of your lender. Going through the entire mortgage approval and underwriting process and receiving confirmation that you have a mortgage loan may take roughly 18 days. Of course, it may take longer if there are complications or the lender has more questions about your financial background. Before you can get to the closing table, you’ll also need to get a home inspection. Home inspections usually take two to three hours to complete. But finding an inspector and scheduling time for him to stop by may take at least a week. Buyers often include a contingency in their contract that gives them seven to 10 days to get a home inspection. But the sooner you take care of that, the sooner you can close on your house. 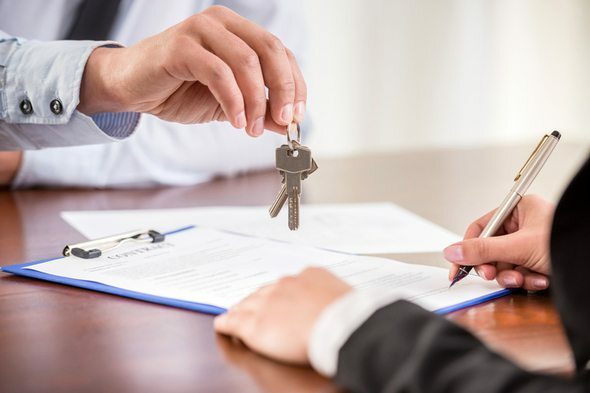 Different states have various rules, but you’ll likely need to complete a few other steps before you can get to the closing stage (like finding a real estate attorney). Recent reports suggest that closing timelines may be getting longer. Last year, Ellie Mae released a report saying that it took the average homebuyer 50 days to close on a home. But the timetables varied depending on the kind of mortgage loan the buyer had. For example, it took 53 days to close on a VA loan, 51 days to close on an FHA loan and 49 days to close on a standard mortgage loan. How long does it take to buy a house? It depends. Your financial status and conditions in your housing market will have an impact on how quickly you’ll be able to close on a house. From start to finish, the whole process could take a few months. For someone with bad credit or other problems, buying a house could take as many as six months. If you’re in a rush to get to the closing stage, it’s best to have all your ducks in a row. Staying organized and being financially prepared can shorten your journey to becoming a homeowner. Know your credit score and financial situation before speaking to a lender about preapproval. The more you know going in, the less chance you have of having to fix your credit score and reapply if you’re not approved or if you’re offered unfavorable interest or loan terms. Have all your financial documents in one digital or physical folder. You’ll need tax returns, W-2 forms, pay stubs, bank statements, Social Security or disability statements, alimony or child support payment documentation, identification and 1099s if you own a business or are self-employed. Talk to your neighbors, coworkers, friends and family about what lender they used and the timeline they had. Sometimes, the best insider knowledge comes from word-of-mouth.